March 13, 2014 5:00 am By Lori Post contains sponsored/affiliate links and I get commissions for purchases made from links. As an Amazon Associate I earn from qualifying purchases. 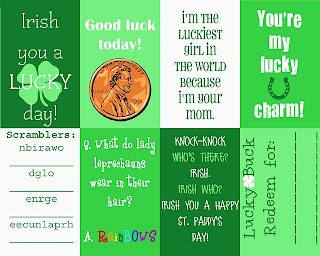 Visit the Always Love by Jaclyn Facebook page and “like” her, then follow the link in THIS post (click “SEE MORE”) to get a set of free printables for St. Patty’s Day. Print them off, and place into an existing frame for instant Irish mojo! March 3, 2014 11:12 am By Lori Post contains sponsored/affiliate links and I get commissions for purchases made from links. As an Amazon Associate I earn from qualifying purchases. 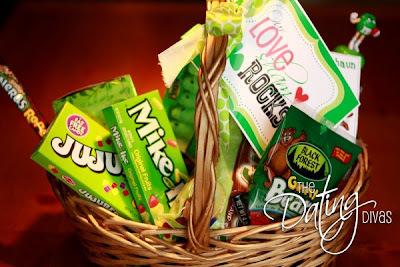 Get your fix of St. Patty’s Day fun with these ideas from across the blogosphere. March 3, 2014 8:23 am By Lori Post contains sponsored/affiliate links and I get commissions for purchases made from links. As an Amazon Associate I earn from qualifying purchases. Head over to Thirty Handmade Days to get a free printable St. Patty’s Day bracelet. FYI: This year St. Patrick’s Day is on Monday March 17th. March 14, 2013 11:27 am By Lori Post contains sponsored/affiliate links and I get commissions for purchases made from links. As an Amazon Associate I earn from qualifying purchases. Visit Or So She Says to get a fun St. Patty’s Day game called Roll-A-Leprachaun. The first one to dress their leprachaun, wins! March 10, 2013 10:12 am By Lori Post contains sponsored/affiliate links and I get commissions for purchases made from links. As an Amazon Associate I earn from qualifying purchases. St. Patty’s Day is coming up! Spruce up your mantle with the free printable from The Gingerbread Blog. March 2, 2013 10:19 am By Lori Post contains sponsored/affiliate links and I get commissions for purchases made from links. As an Amazon Associate I earn from qualifying purchases. Visit Modern Moments to get some free printable Rolo wrappers, along with several other St. Patty’s day printables. This would be a nice lunchbox surprise! February 26, 2013 2:54 pm By Lori Post contains sponsored/affiliate links and I get commissions for purchases made from links. As an Amazon Associate I earn from qualifying purchases. 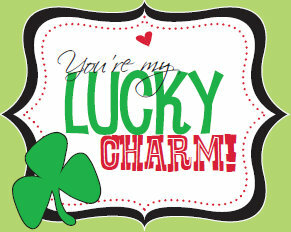 Celebrate St. Patty’s Day with this free printable soda wrapper from Just Married With Coupons. More St. Patty’s Day Ideas! March 16, 2011 6:00 am By Lori Post contains sponsored/affiliate links and I get commissions for purchases made from links. As an Amazon Associate I earn from qualifying purchases. Visit Dating Divas for a few cute St. Patty’s Day printables to attach to gifts. More St. Patty’s Day ideas HERE, HERE, HERE and HERE. FREE St. Patty’s Day Lunch Box Notes! March 10, 2011 11:00 am By Lori Post contains sponsored/affiliate links and I get commissions for purchases made from links. As an Amazon Associate I earn from qualifying purchases. My homegirl Erin from Crafts & Sutch has done it again with some awesome St. Patty’s Day lunchbox notes. Love these! More free Lunchbox Love Notes HERE!